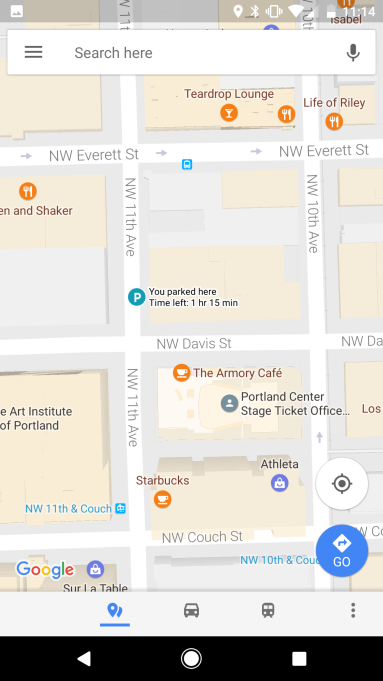 Google Maps has just added a handy feature that will help users remember where they parked. This appears as a new menu option when you tap the blue dot and will place a “P” icon on the map so you can find your way back to your spot. It is a great unknown for most users, although it has interesting tricks and hidden options. One of them is to mark the location in which you have parked your car to find it easily. This feature is only available if you’re signed into Google Maps, even for beta users. 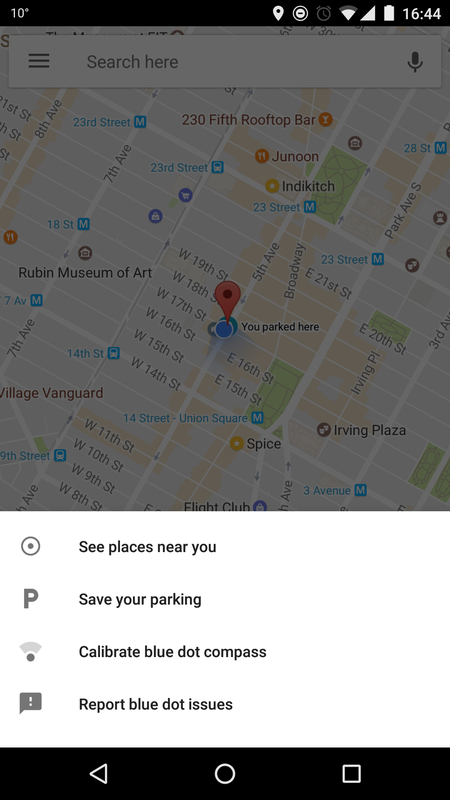 Once the location has been saved, the app also gives you options to add parking notes, add photos of the nearby areas as well as set a timer in order to remind you of how long your car has been parked at the spot. 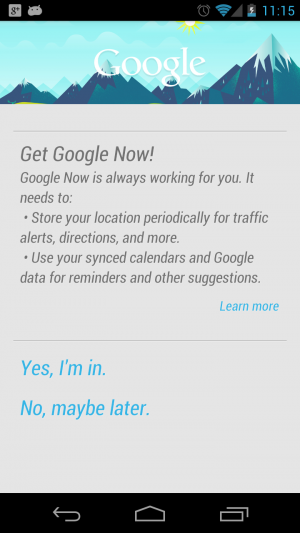 What Is Google Now And How To Access It? Google Now is an intelligent personal assistant developed by Google. Google Now, including Now cards, voice search, and commands, is available in the Google app for Android and iOS. Now cards are also available for Chrome OS in the notification centre. Voice search and limited voice commands are available in the Google app for Microsoft Windows, and through Google Search when using the Google Chrome web-browser. Google Now uses a natural language user interface to answer questions, make recommendations, and perform actions by delegating requests to a set of web services. Along with answering user-initiated queries, Google Now proactively delivers to users information that it predicts (based on their search habits) they may want. Like other smart assistants, Google Now lets you do a whole lot of ‘fact’ based things like set a timer or alarm by commanding your phone to do so or look up a fact or song simply by asking your phone. You can, of course, type the words into your Google search app instead of speaking them. Obviously, given that it’s based on Google’s ludicrously powerful search functionality, you can ask for information about pretty much anything and expect it to give you a response. You won’t get great results unless you set Google Now up with all the information it needs. This will involve some trust on your part. For heavy users of Google services, it won’t be an issue, but anyone with privacy concerns is liable to think twice. Google Now is built into Android 4.1 Jelly Bean and above, and you can also now get it as a free iOS app. To get started, you’ll first need to launch Google Now from either your lock screen by swiping up towards the ‘Google’ icon or by swiping up from any of your soft keys. You can press in and swipe up from the back arrow, home key, and recent key. If you haven’t launched Google Now until now you’ll need to tap through the welcome screen setup. Now go ahead and scroll down the to the very bottom and tap the 3 dots (menu button) in the bottom right corner. 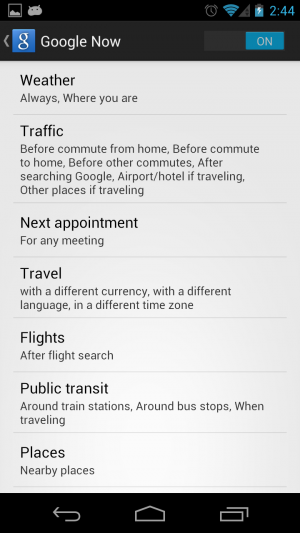 This will launch the Google Now/Voice Search settings. 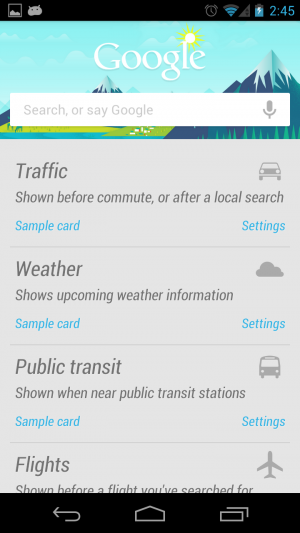 Tap Google Now to customize your Google Now cards. You can also view Sample Cards and configure them from the Google Now home screen. Scroll all the way down to the bottom and tap “Show sample cards”. The cards that appear will vary according to the time of day, your location and which services you’ve chosen to see cards from in the app. So, that could be location-based reminders, time-based reminders or information it surfaces from websites and apps. It can also do things like remind you to leave for a meeting if you’ve set your usual mode of transport. Google’s obviously built in support for its own services on devices too, so once enabled Google Now will scan your mail for things like flight reminders and keep you informed about upcoming appointments by drawing from your Calendar. To customize your Google Now settings, tap the three vertical lines in the top left of the screen when the Google app is open. Then tap Customize. You’ll be presented with a list of options that you can work your way through, but Now gets (a little) smarter over time, so new cards will appear as you settle into using it. You can control which apps and websites can show Now cards on an individual level. 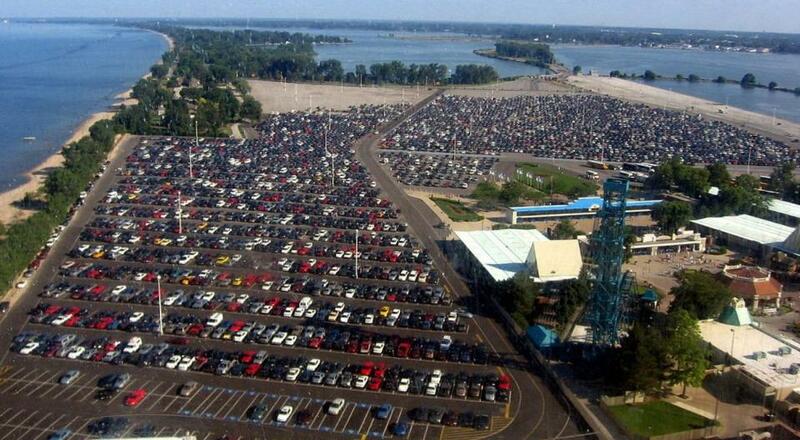 You’ll only get parking location cards if you set driving as your main mode of transportation. Open the Google app Google. In the top left corner, tap the Menu button. Tap Customise > Transportation > How do you usually commute? > Driving. This step is necessary since Android automatically detects when you get on and off a moving vehicle, but for this, you first have to activate the high precision GPS. There are no additional steps. Google Now is the star software of the company, the one they have been pampering lately. Together with Maps, it is the jewel of the crown and the application that allows saving the location of the parking where you have your car. If you have GPS enabled, your mobile will detect automatically when you start the car. When you get off him, Now will show a card on his cover. 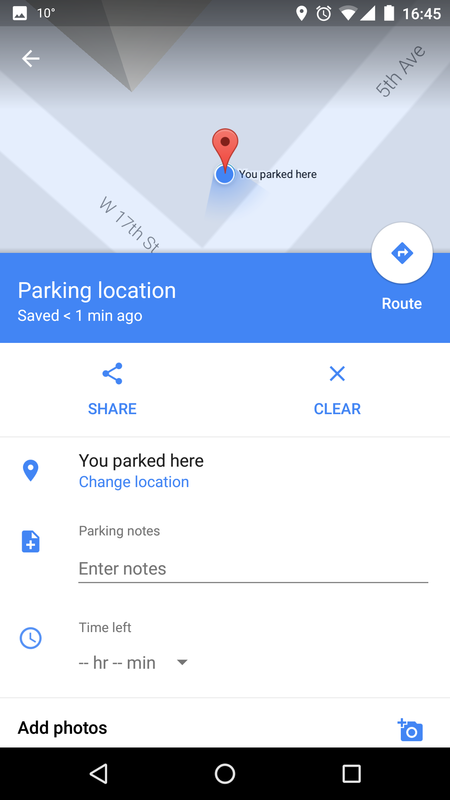 You can open it to see the location where you parked the car in Google Maps. Note: This trick does not work on underground car parks. At the moment the GPS is not so precise as to detect depth. If you have any other methods let us know in the below comments. If you have already tried this method, let us know your experience with Google now in the below comments section. Which way do you use to save Car parking location?